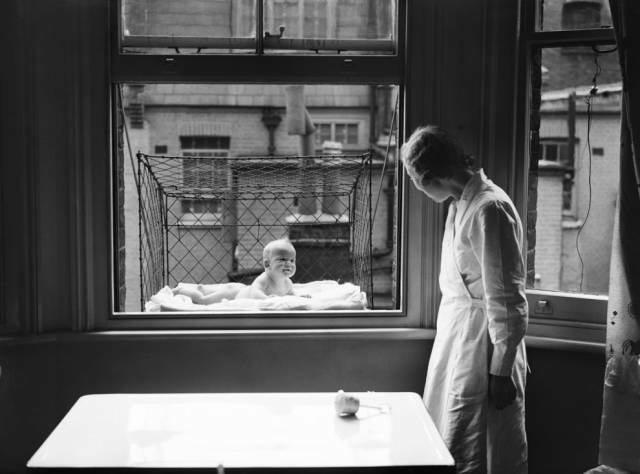 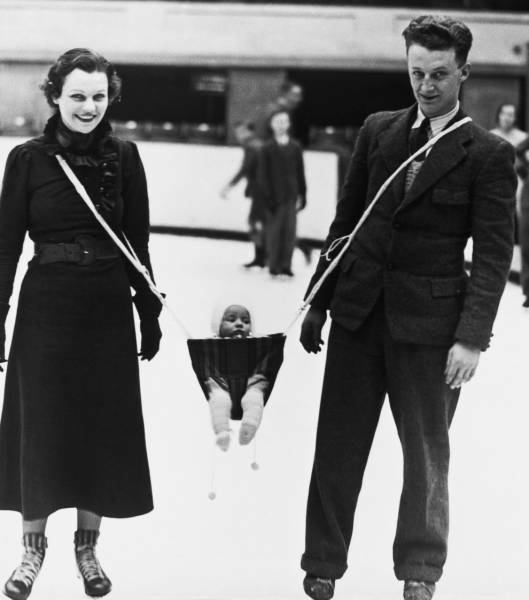 When someone thought babies were better off hanging from their apartment windows. 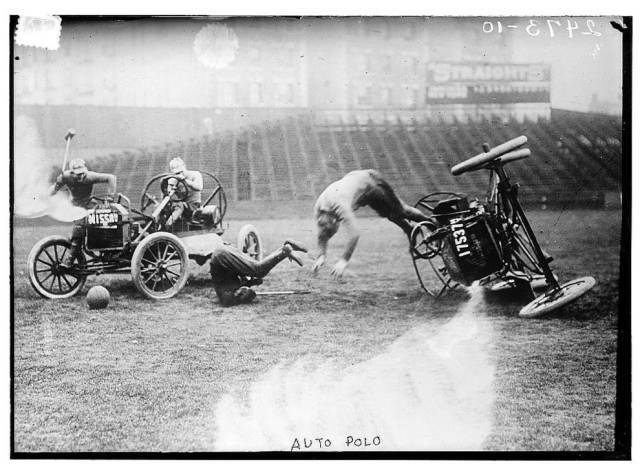 Or when someone decided that auto polo should totally be America’s new pastime. 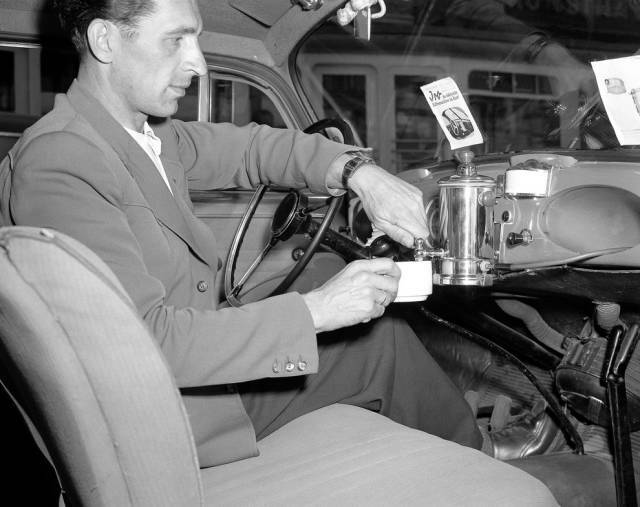 When safe driving took a backseat to a hot cup of joe. 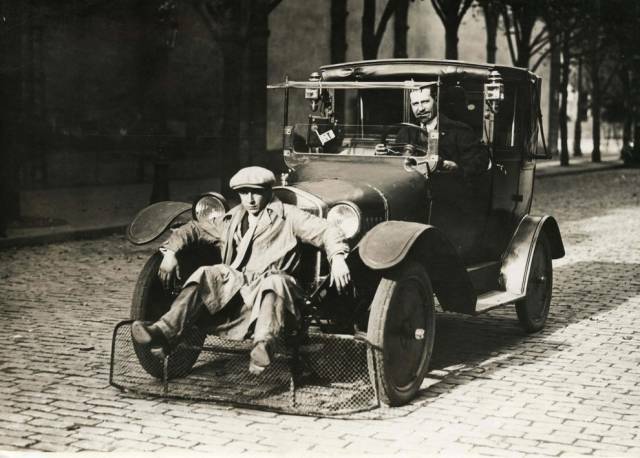 And hitchhikers took the front seat with friendly drivers. 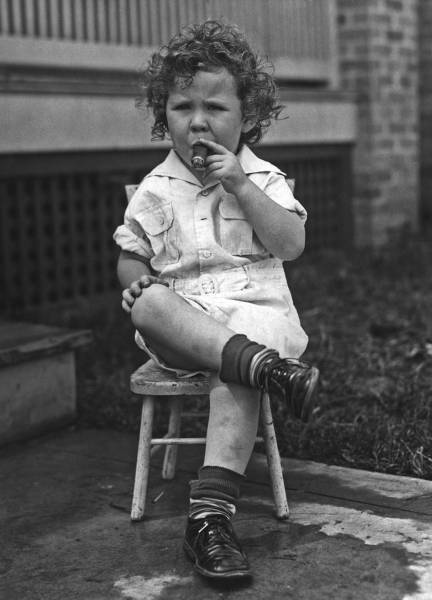 When kids were allowed a nice cigar on their front porch. 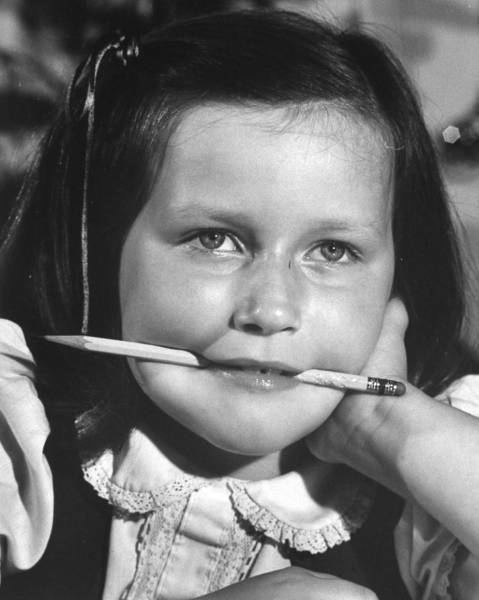 And could chew on lead-painted pencils to their heart’s content. 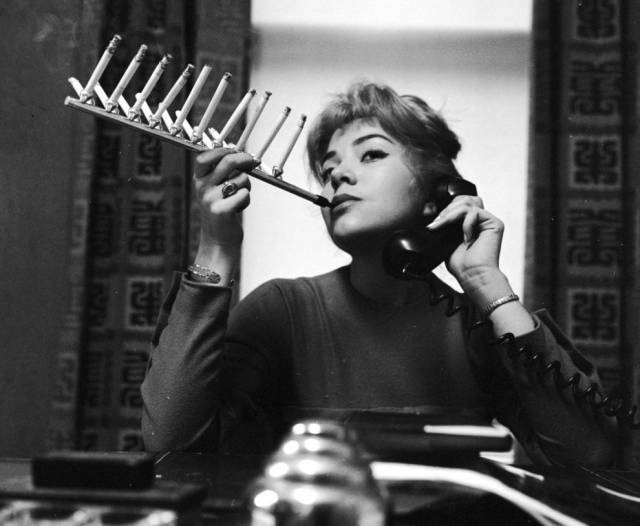 Back when chain-smoking was taken literally. 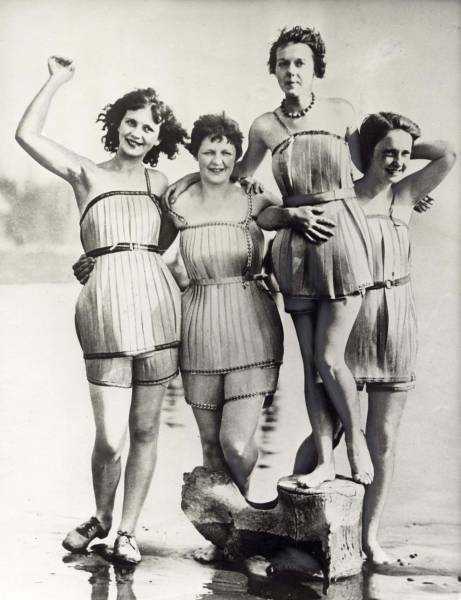 And wooden bathing suits were totally a thing. 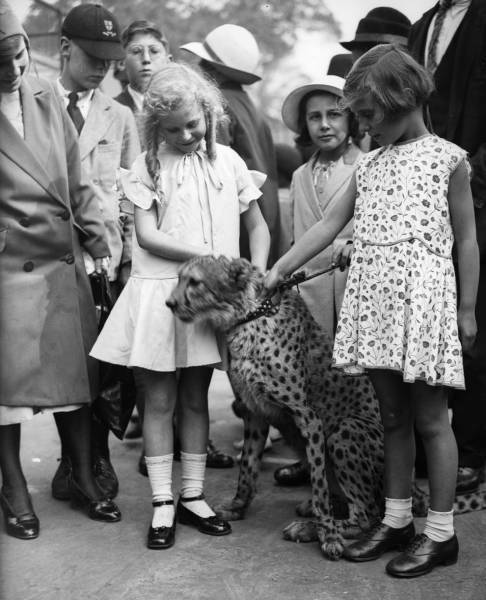 As was having a cute pet cheetah! 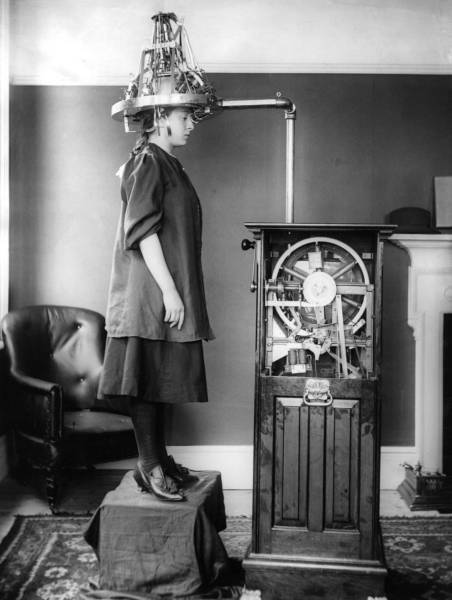 When mind reading was just a matter of strapping on a helmet. 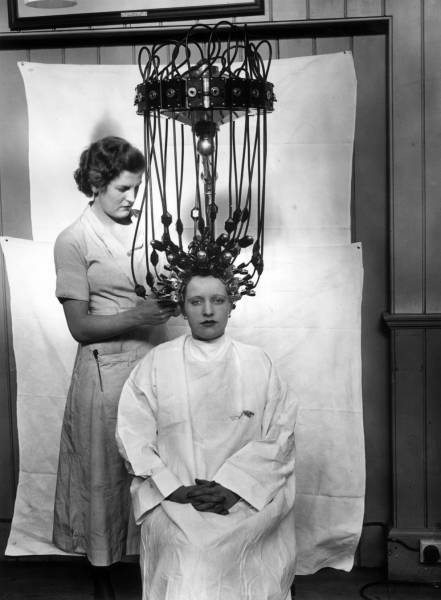 And there was only a slight risk of electrocution at the salon. 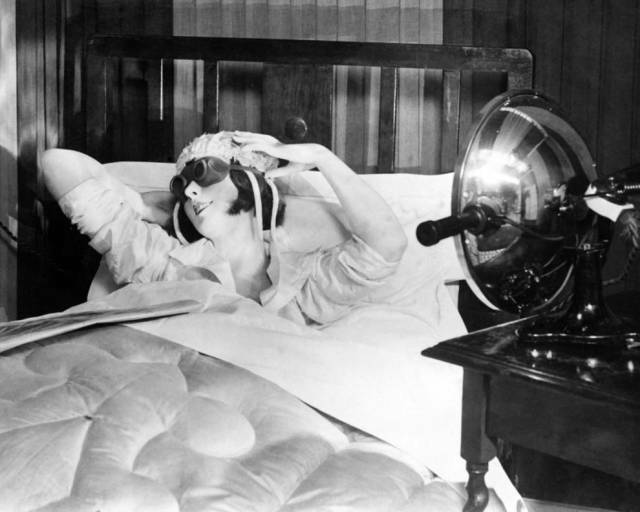 When you could soak up some UV rays in the comfort of your bedroom. 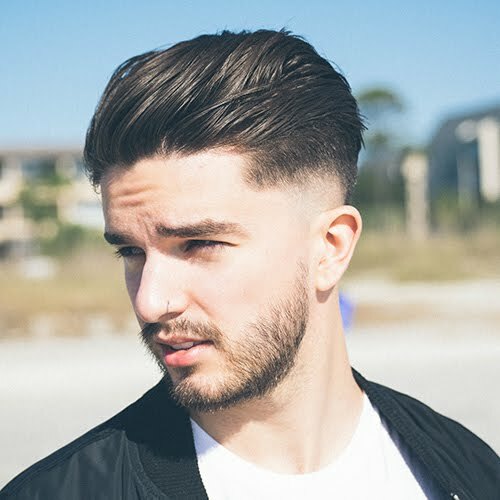 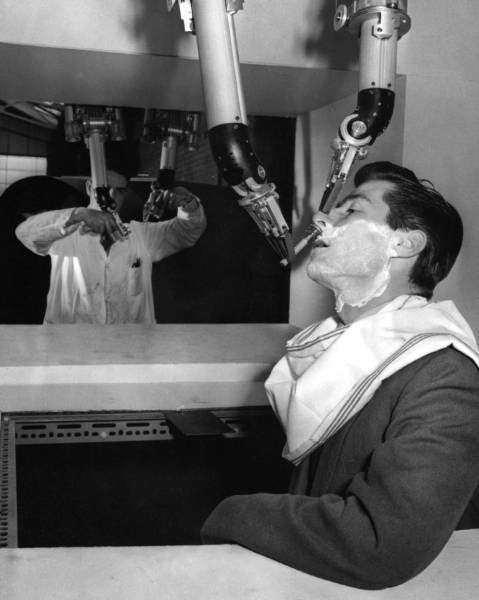 And the closest shave was by the hands of a robot. 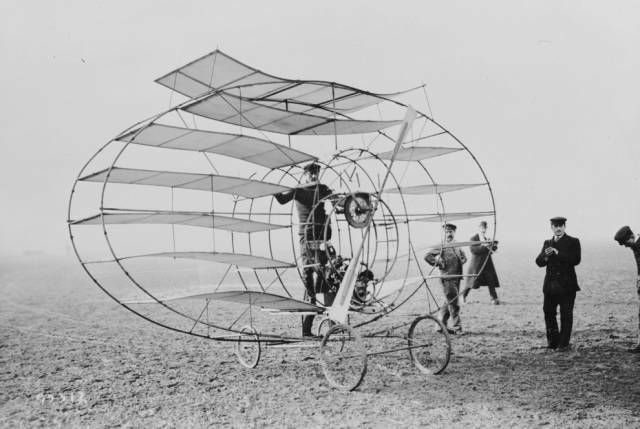 Otto Lilienthal, a German inventor and aeronautical engineer, tests out his glider in 1891. 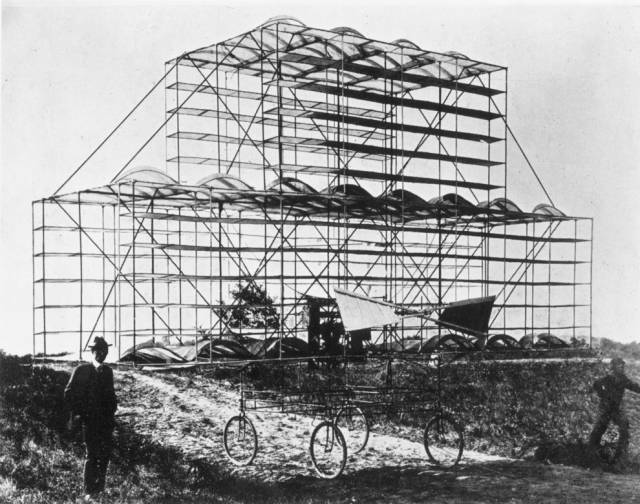 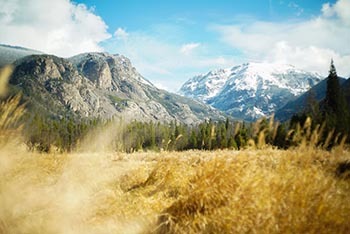 After making more than 2,000 flights, he was killed when his glider crashed in 1896. 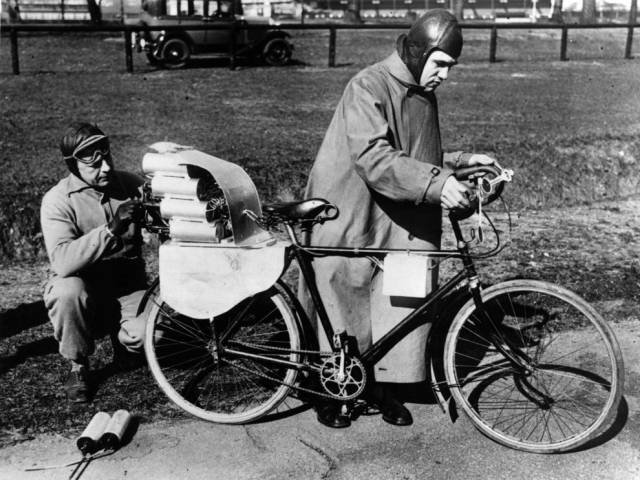 Back when atomic-powered cars were the most energy-efficient form of transportation. 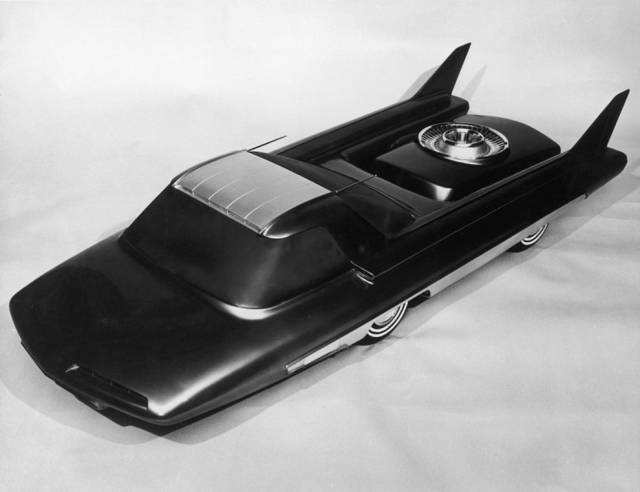 The Nucleon was an atomic car conceived by Ford in 1958. 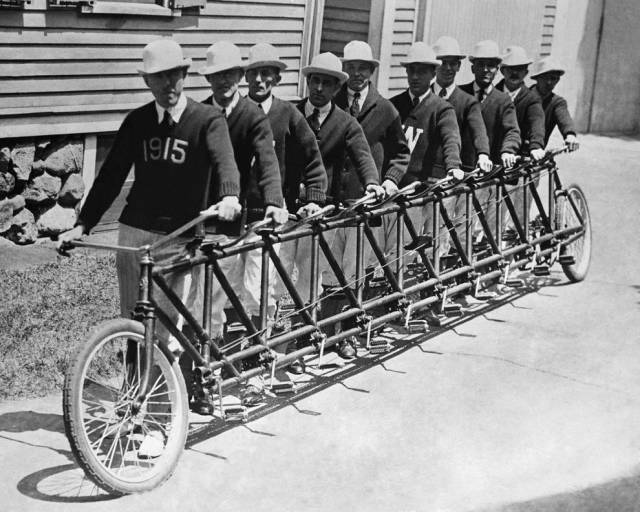 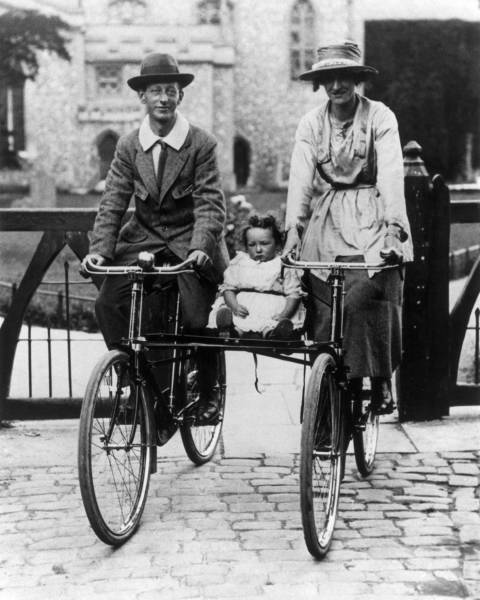 And bicycles built for 10, of course. 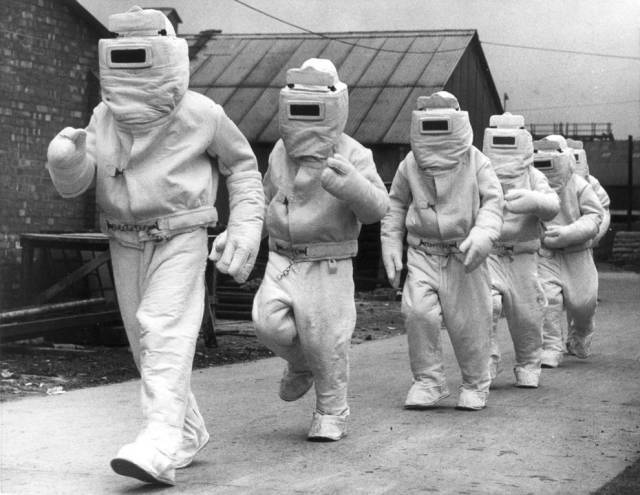 When these brand-new asbestos suits were the future of fire safety. 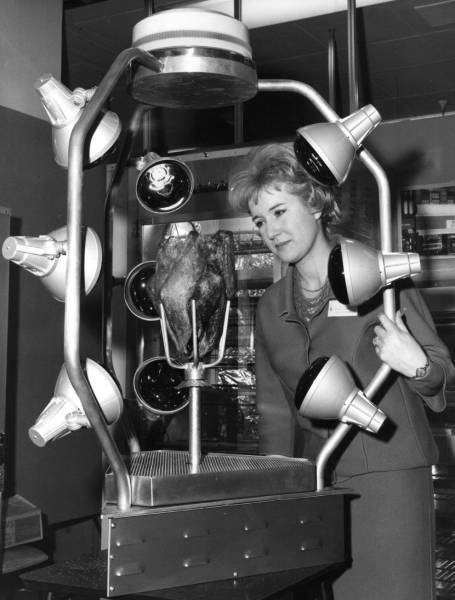 And this infrared turkey cooker was a surefire way to celebrate Thanksgiving with a bang!